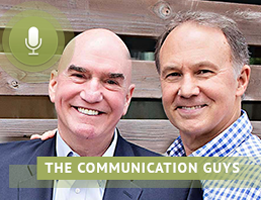 Dr. Tom Barrett and Tim Downs, the hosts of the weekly podcast “The Communications Guys,” discuss how to effectively communicate on tough issues during our polarized age. This is Traci Griggs, Director of Communications at NC Family, sitting in for John Rustin this week. Today we hope to challenge all of you to be countercultural regarding how you choose to communicate on the important issues we are facing today, especially a lot of the enormously emotional issues we deal with here at NC Family. I have two very special guests with me this week. Two guys who are providing a great service to all of us who struggle on a daily basis to communicate better. Tim Downs and Tom Barrett are The Communication Guys and they host a weekly podcast by that same name. Tim and Tom, I was going to ask you to introduce yourself, but I’m concerned that you’ll be modest about your own accomplishments and why you’re uniquely qualified to talk to us about communications, so I’m going to ask you to introduce each other. 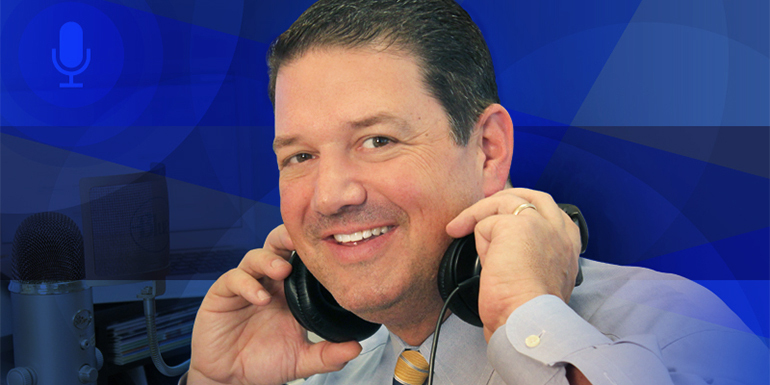 TIM DOWNS: Traci, we never have a problem with modesty, and I love to brag about my colleague. This is Dr. Tom Barrett. Tom holds two masters degrees and a Ph.D. in clinical psychology. Tom spent 20 years in private practice in the greater Washington D.C. area, and, get this Traci, Tom has spent more than 10,000 hours meeting one-on-one with members of the U.S. Senate and House of Representatives, and he is still sane. That’s no small accomplishment. TIM DOWNS: But Tom now travels all over the world. He is a communications expert and trainer, and he’s a world-renowned expert in the psychology of success. So, that’s my partner: Tom Barrett. TOM BARRETT: And for my partner, Tim Downs: He is equally an amazing individual, and I say that with the data to back it up. Not only did he graduate Phi Beta Kappa from Indiana University, he has spent a lifetime researching and writing about the nature of communication—what makes for effective, smart communication. He has taught it for decades, he teaches it professionally, he models it, and he is one of the premier experts in the country at understanding what makes for smart, sound, effective communication. TRACI GRIGGS: Well, you’re here on our Family Policy Mattersradio show today because I was listening to a podcast that you did recently called, “Take A Stand Or Take A Seat” and I thought that topic would be a great one for our listeners as well. At the beginning of the podcast, you explained that the title of your episode might be a bit misleading. Would you explain why? TIM DOWNS: It’s an interesting thing: We’re living in a time where people are big on taking a stand,and people thought, coming to our podcast that that’s what it would be all about, that we were saying, have a voice, tell people what you think. But actually, we were saying the opposite. We’re living in an age of proclamation and we were saying, there’s a time to take a seat, to take a seat at the cultural table, to participate in the larger cultural conversation, to take the time to listen and not just share the thoughts that are on your mind, because this is the most polarized culture the world has ever seen.That’s what Tom and I are trying to resist. It’s one of the reasons we began the Communication Guys. We’re trying to teach people to listen, to ask smart questions, to understand your opponent, before you offer an opinion of your own. So that really was the point of the podcast. We were saying, we have to stop just taking a stand: We need to learn to take a seat. TRACI GRIGGS: I think that certainly is true. And history buffs, of course, will know that political opponents used to go fiercely against each other on the floor of Congress, in other meetings, and then afterwards somebody would pat somebody else on the back and they go grab lunch together, or invite them to dinner. I think Tom you said in your podcast, this is just not what you’re seeing today in the halls of Congress. Do you want to talk about that a little bit? TOM BARRETT: Yeh, it is a reality unfortunately Traci. But the truth of the matter is, years ago on Capitol Hill, men and women could fight like cats and dogs, but they did it respectfully and they did not attack each other. They actually did not distain the opinion of someone else. They just thought: Well, we don’t see this the same way. And actually it was okay for them to be friends. They could go out and have a dinner or drink afterwards and there was really “no harm/no foul.” Well, those days are long gone. And while the need for civility and kindness in discourse has never been greater, it’s never been less evident. In fact, now the mood up on Capitol Hill: I equate it to gang members! If you’re a member of one gang and you’re seen talking to someone in another gang, you are actually putting yourself at risk. Your gang members say: Why are you talking to them? So literally, I can be watching the floor of the Senate or the House and I can see people pooled into their own private tribes and if they were to dare to go across the aisle, or even to speak to someone in their own party that isn’t aligned with their specific internal group within that party, others go: What are you doing over there? What’s with that? We don’t even have the freedom to be gracious, to talk, to inquire anymore. It’s a serious issue. We have to face it, and we certainly have to find a way to fix it. TRACI GRIGGS: Talk a little bit briefly about why this is a problem? Why does this create issues for us as a nation that we can’t be civil to each other? TIM DOWNS: It’s kind of the nature of the culture that we’re in now. If you think about even the nature of social media: It was designed for you to share your thoughts. But our social media are not inclined toward listening or nuance or understanding another position. So I liken it to a snowball fight: We all hide behind our walls until we’ve got a snowball and then we pop up, get off a good shot and duck back down again. So we’re living in a culture now where people basically shout across the wall to each other. As Tom was saying, the irony in Congress: the aisle isn’t an aisle; it’s a moat. You used to be able to just wander across to the other side. You no longer can. We hate each other, and criticism— which is actually a negative statement about a behavior or an idea—has become contempt, and contempt is where you’ve moved from criticism to attacking character: What kind of an idiot would think that? What sort of a moron would hold that view? When you do that you just polarize. And the problem is for us to solve the complex problems in our world today, we have got to be able to connect with one another. So, we’ve got to solve this problem of polarization. TOM BARRETT: I like that too, Tim. We’ve got to be able to connect. Today, we have the illusion of connection. And we need to remind ourselves that declaration is not at all the same thing as dialogue, and that actually we’re like people who walk around with walkie-talkies. Remember the walky-talkies we had as kids? And it was push to talk, and if you wanted to listen, you had to take your hand off the button. We live in a world where everyone thinks: The only thing that matters to me is I get to push to talk. We can do it through social media: I can say whatever I think; I can say it as soon as I think it; I don’t have to matter about the words I use to say it; and then once I’m done talking, I just keep my finger on the button because I’m not interested in listening to any other response. It’s an extraordinary moment in time. TRACI GRIGGS: You start your podcast by contrasting two styles of communication: proclamation and persuasion. You go into quite a bit of depth on the topic in your podcast so people can go there to learn more, but briefly, what do you mean by that? TIM DOWNS: We think there are two fundamental styles of communication today, they are: proclamation and persuasion. The difference is, proclamation is “me” oriented; it’s speaker oriented; what are my thoughts; what’s on my mind; what do I want to say? All they have to do, as Tom described, is put my finger on the talk button and say it. I never have to listen to anybody else. And our media today make that possible for people more than ever before. But there’s also this firewall of anonymity that’s out there and that’s the danger. I can tweet, I can post, and nobody knows who I actually am. So because of the anonymity—because it’s impersonal communication—this is where all the flaring comes from. This is where all the anger comes from. So, proclamation is “me” centered. It’s me communicating my thoughts. Persuasion, on the other hand, is “audience” centered; it’s listener centered; it’s being able to take the perspective of the other person; it’s willing to do the hard work of understanding why they might believe what they believe, and if there’s anything actually to their arguments, anything I could learn from it. And it’s doing the hard, slow work of actually changing somebody else’s mind. You cannot do that in 140 characters. You cannot do that in a quick post on Facebook. It takes time and work, and I think today we’ve become either too uncaring or a little too lazy to do the work to do it. So we’re living in a world of proclamation, and we’re trying to encourage people to move to the model of persuasion. TOM BARRETT: And it’s interesting what you say Tim, the hard work. And it’s not just the hard work of having them understand us; it’s us being willing to do the hard work of understanding them. That’s the lost skill in many ways; that’s the lost mindset. I know what I think and I know what I wish I could get you to believe about my thoughts, and if you would just simply accept them and embrace them and run with them. But actually maybe we should begin by saying: “Help me to understand you”; “Help me to have passionate curiosity about understanding where are you coming from?”; “Help me understand, how did you arrive at that?” And I am listening, not to judge, not to pounce, but I’m assuming there’s a reason, a driver behind your conclusions and perspectives about life. I would like not to judge them, but golly I would love to understand them. There’s got to be some substance in your thinking that drives the conclusions you have, and so today, I want to suspend my judgment and rather I would like to get into your mind, get into your heart, and you tell me, not just what do you think, but why does it matter so much and how did you come to that conclusion? That’s a very different way to dialogue. TRACI GRIGGS: And that’s actually a radical thing to say in this day and age, assuming that the other side might actually have correct motives or good motives, or right motives. You make a point in your podcast about trying to figure out what it is you want. Why is that important? TIM DOWNS: Because you tend to get what you want. You tend to hit what you aim at. And that’s why we’re saying to people, “Are you about to try to communicate, ask yourself the hard question: What is it I really want from this? Because the honest truth, many times, is all I want is to vent; all I want to do is yell; I want to put the other guy down; I want to show everybody what an idiot he is. And we’re trying to say, If that’s all you want, that’s all you’re gonna get. But instead, you could shift that motive to: I would like to ask a smart question; I’d like to draw this person out; I’d like to understand more about what it is they actually believe and why they would hold to this so tenaciously. If you shift that motive, you’ll get that too. So we’re asking people, look in your own heart and ask yourself: What is it you want? TRACI GRIGGS: What is the benefit to all of us to pursuing this kind of communication, do you think? TIM DOWNS: It gives us the opportunity to break down the polarization of our society. It gives us the opportunity to reduce the amount of background anger that’s out there, and to actually, possibly, connect so that we can move forward. We all know that innovation increases when people can share ideas. And we’re at a point where we need innovation and we need fresh ideas—at a point in history where we are poorer at communicating than ever before. And as Tom said,that’s the irony of the age. We’re high on connectivity. I can pick up my smartphone and talk to a nomadic tribe on the other side of the planet, but there’s a difference between connectivity and connection. Actual human connection. That’s what it all comes down to. TOM BARRETT: It’s very interesting to live in a day where people think: How many people are tracking me, following me? And then to proclaim something, and what they really want to know is: How many ‘likes” did I get; How many thumbs up? Well, that’s one goal. But that doesn’t mean that you communicated something that was wise. And we have no way of knowing but did that offend other people? Or, were you only talking to people in your group, your tribe, your click, and all you’ve done is discovered that you’ve aggregated some people who unilaterally agree with you. That’s not real connection; that’s not real communication. Sometimes the advantage of slowing down, learning the art of asking questions, and even asking questions of people around the country and around the world, different socio-economic groups… You know what you quickly discover? It’s not how different we are; it’s how unbelievably similar we are we are in hearts and motives and longings and desires and cares and priorities. We may express them differently, but we’re not as different as we sometimes think. And when you begin to look for that commonality of drivers and longings, we’re actually a lot closer to each other, rather than further apart than we imagined. TRACI GRIGGS: I’m going to give you guys a chance to do a shameless plug for your podcast. TIM DOWNS: That’s our specialty, Traci. TRACI GRIGGS: You guys can tell us where we can go to sign up to listen to your weekly podcasts, and perhaps they will enjoy going there and hearing more about this topic. TIM DOWNS: Our weekly podcast, our 30-minute podcast, is called The Communication Guys, and the easiest way to find it is just go to our website, communicationguys.com. And there, you’ll find all of our past episodes. If you go to our website, communitionguys.com and sign up for our weekly email, free for the asking we’ll give you a book that Dr. Barrett put together called, How to Become the Person Everyone Wants to Talk To. TRACI GRIGGS: Thank you. Once again, we’ve been talking to Tim Downs and Tom Barrett from The Communication Guys podcast. Thanks you guys for joining us!